When I was thirteen years old, my family moved to Beloit, Wisconsin. Moving to a new town was scary, but it was also exciting. At my old school I had been a bookish loner and an easy target for other kids. I never got hit with pig’s blood or tampons, but I did suffer my share of spitballs and ‘kick-me’ signs. My new school would be smaller. I hoped things would be different. I didn’t have any friends that first summer in Beloit, but I did have a library card. I picked up a book called Misery, and I was changed forever. I saw something in that book I recognized as true. I saw hope, I saw fear, and I saw the way those two things can get tangled up in the most terrible and wonderful ways. The relationship between hope and fear is something Stephen King has spent a lot of time exploring over the course of his career. It was present in his most recent book, Doctor Sleep, and it was there in the book that started it all. Carrie displays the battle between hope and fear most powerfully in the scene where Tommy asks Carrie to the dance. We see Carrie White, her defences always armed, her drawbridge always raised, and we see her struggle. She weighs the possibilities, counts the cost of opening her heart, and wonders if maybe, just maybe, this time things might be different. While Carrie accepts the invitation to the dance, her fear never fully subsides. She is hopeful as she secretly makes her crushed-velvet dress, but the fear is still there. She plans what she will do if it is all a trick. If Tommy stands her up. If. And the ifs are where Mr King shines. He loves to show us the unknown and our twin reactions to it, hope and fear. He understands that hope is powerful, but it can often be costly. He understands that fear is powerful and that it can be even more powerful when we are left with a bit of unfulfilled hope. Before things went badly at the dance, they were actually going very well. Carrie was too shy to dance, but she was doing a decent job holding up her end of conversations. She even cracked some jokes, much to the surprise of her date and the other cool kids. Two girls complimented her on the dress and asked her where she bought it. She came clothed in hope and a homemade dress, and both served her well until they were smothered with pig’s blood. 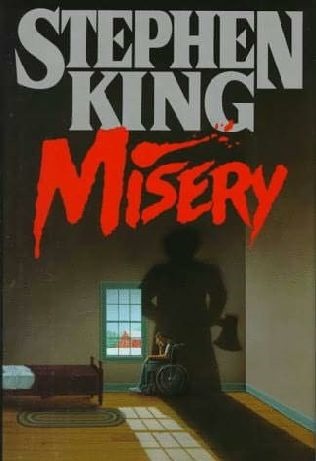 When I read Misery, it wasn’t just the terror of Annie Wilkes or the exciting near-escapes or the hobbling scene that captured my imagination. (Maybe it was the hobbling scene, a little.) It was the hope! Here is this guy in this terrifying situation. Some terrible things happen to him, but something wonderful happens too. Somehow, while being held captive by a mad woman, Paul Sheldon rediscovers his love of writing. It blew my thirteen-year-old mind! Stephen King taught me that very ugly situations can reveal beautiful things about human nature. On my first day of school in Beloit, I felt both hope and fear. That morning, I slid into the first desk I saw and tried not to be noticed. It wasn’t long before a tall blonde girl walked up and said, “You’re in my seat.” Many years later, I married that girl. Sometimes we hope for a good life and end up with a great one instead. Things didn’t end well for Carrie White or anyone else in her story, but the novel set the stage for King’s continued exploration of hope and fear in his later works. Carrie shows us that hope is costly and fragile, but many of his other books, including The Stand, It, and my beloved Misery, show us that hope is often worth the effort. P.T. Hylton is a writer, podcaster, and instructional designer. He lives in Appalachian Mountains of Eastern Tennessee with his wife and daughter. 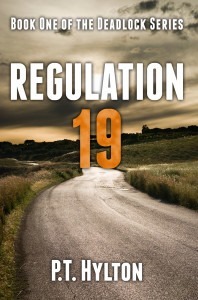 His first novel, REGULATION 19, is available now.